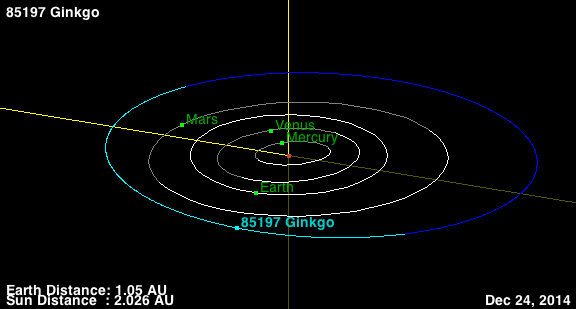 Asteroid 85197 (1991 TG5) is named Ginkgo after the Ginkgo biloba tree. It is a main-belt asteroid discovered on October 5, 1991 by F. Borngen and L. D. Schmadel of the Karl Schwarzschild Observatory at Tautenburg, Germany. Read more on Wikipedia and on this site by NASA Jet Propulsion Laboratory, California.